Building resilience is complex. Some might even call it a “wicked” problem with complex interactions, tangled webs of causes and effect and no definitive right answers. We take on these challenges. 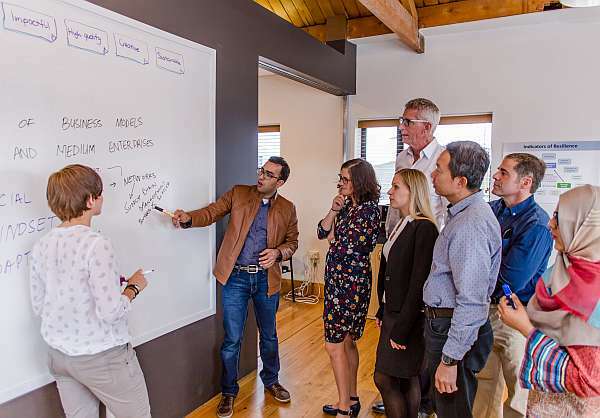 Our team collaborates with experts across research and industry to design and deliver research that can make a practical difference to resilience building initiatives. To solve complex problems we believe in working collaboratively in trans-disciplinary teams using robust methods and delivering high quality usable outputs. We are excited by new research. We have a group of PhD students working alongside our team of vibrant researchers. Our lead researchers supervise PhD students and work with them to develop their research focus and approach so that it fills a critical knowledge gap. This project, funded by the Ministry of Business Innovation and Employment (MBIE) has created an integrated spatial decision support tool to quantify the economic impacts of infrastructure outages. The MERIT tool allows organisations to quantify the economic implications of vulnerabilities to infrastructure failure from both natural hazards and infrastructure-only events, and explore alternative infrastructure-related mitigation, adaptation and recovery strategies. The tool enables a high-resolution assessment across space and through time of the economic consequences of infrastructure failure, business response and recovery options. This project is a collaboration between GNS Science, Market Economics and Resilient Organisations. 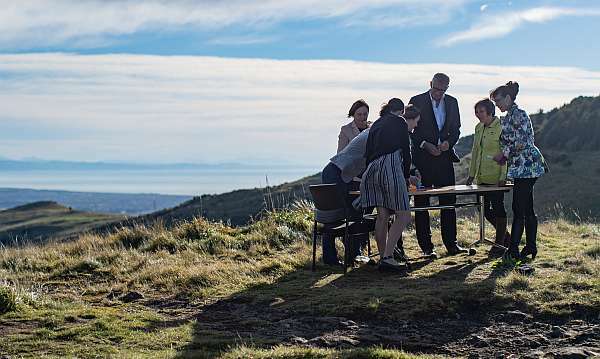 Part of the government funded National Science Challenges, this programme seeks to pursue a goal of transformative resilience, discovering and implementing new research based solutions for our society, culture, infrastructure and governance to address factors that will enable New Zealand to thrive in the face of challenges from nature. Joanne Stevenson and John Vargo co-lead the Trajectories programme which is producing a prototype “Resilience Warrant of Fitness” system; an expandable suite of resilience indicators that measure “all of community” resilience via a multi-capital model. QuakeCoRE is a Centre of Research Excellence (CoRE) focusing on earthquake resilience, funded by the New Zealand Tertiary Education Commission. The ResOrgs team have been involved with QuakeCoRE since its inception in 2015. Erica Seville is a Principal Investigator with QuakeCoRe. We are have undertaken projects including business recovery from the Christchurch earthquake, exploring decision making under deep uncertainty, data integration and visualistion en masse prototypes, disruption impacts on central government productivity. Contact one of our resilience experts below or send us an email for a free no-obligation chat about your resilience research project and how we can help.